Complete that charming look in your home by welcoming the gorgeous Antique French Style 4 Drawer Chest Fret. 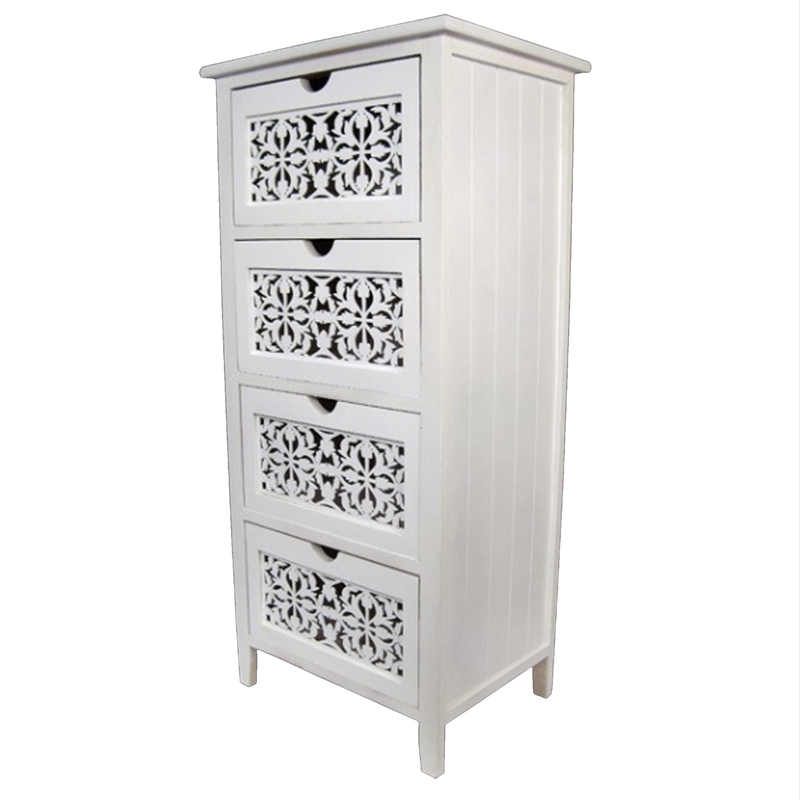 This shabby chic chest of drawers has a beautiful design that'll be sure to grab attention, whilst acting as a practical and stylish piece in your home. This piece has also been given a white colour to enhance the elegant design.